The Program Committee plans the program of events at the annual meeting. The Nomination Committee acts as an independent body from the Council and shortlists candidates for the carious offices and requests nominees from the membership. 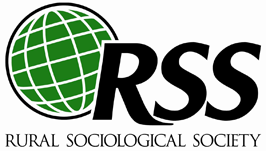 The Development Committee is concerned with the status and development of the profession of rural sociology in the areas of teaching, research and extension. It conducts studies and deliberations as directed by the council; and may also make independent recommendations to the council for the good of the society.